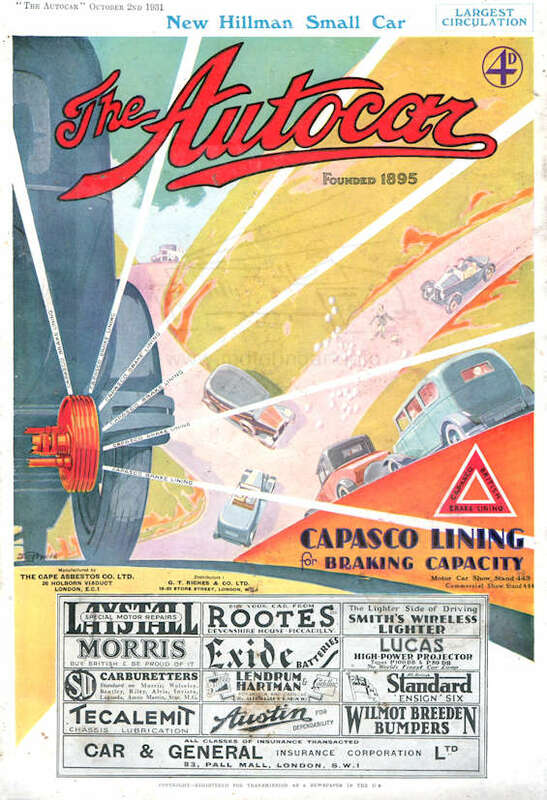 Fred Steerwood was probably the most prolific motoring artist of the 1920’s yet until recently we knew very little about him and his output. Thanks to the efforts of Rutger Booy from the Netherlands we now have more information about him which can be found on the Fred Steerwood website which is referenced below. 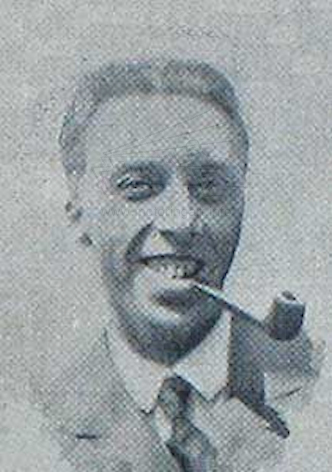 Fred Steerwood was born in London but little is known about his early life except he was with the Navy in the First World War and this could have been in the Royal Flying Corps section. 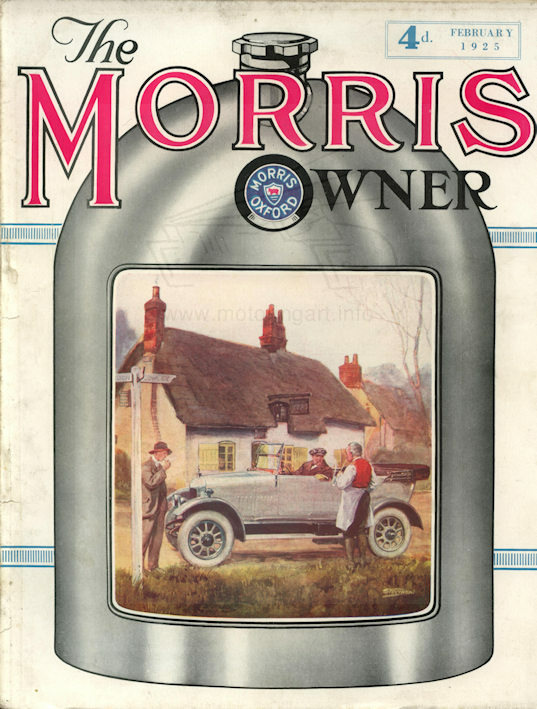 The first art we have seen appears in The Motor Owner from 1919 onwards. 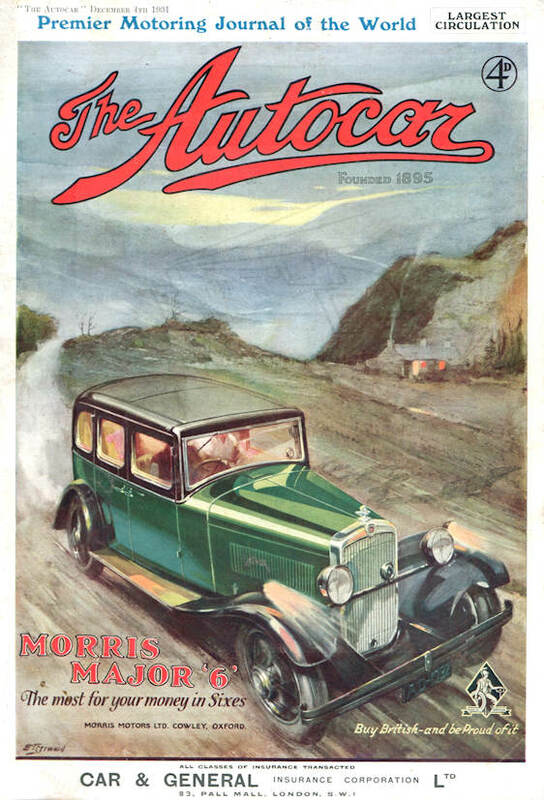 This was a high class expensive (costing 6x the Autocar or Motor) monthly magazine that used decent paper with quite a lot of colour printing. 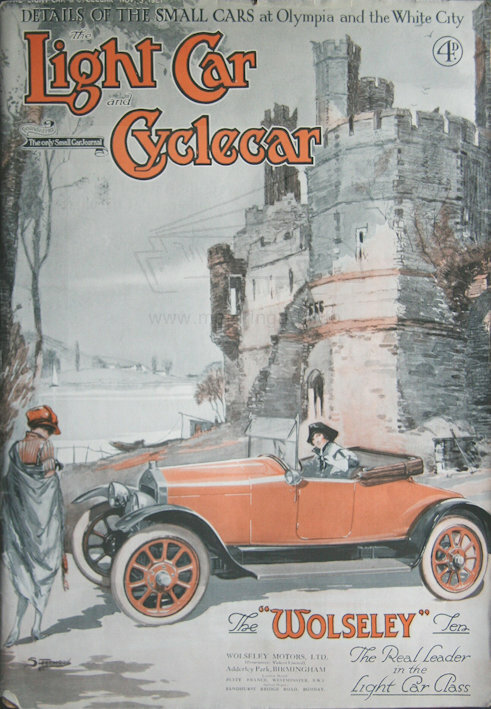 They employed quality artists and had an in-house art section for preparing advertising artwork for clients. 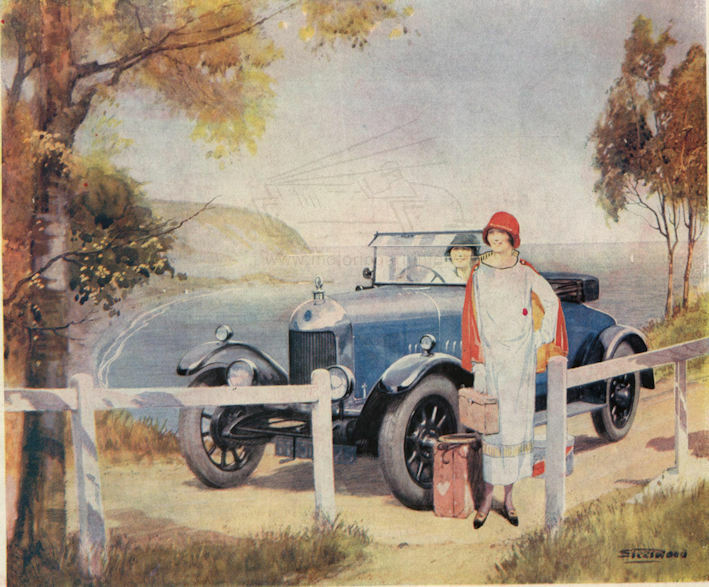 So Fred Steerwood must have had a good reputation and probably some formal art training to be employed. Certainly from the first appearance of his art it is extremely competent. 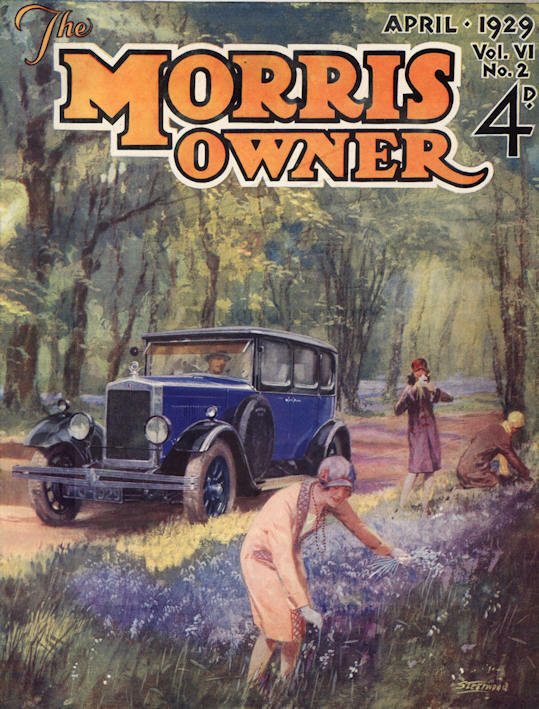 From the Motor Owner Fred Steerwood went on to work for The Autocar, Country Life, Homes and Gardens, Morris Owner, Motor Transport, The Motor Cycle and other UK publications including book illustrations. 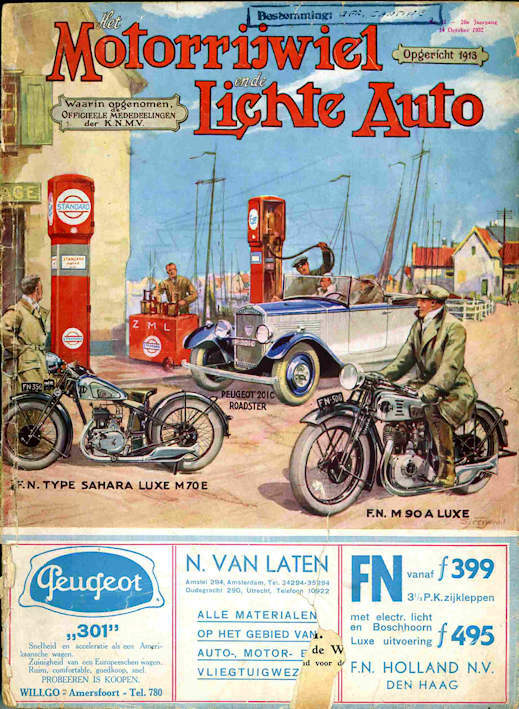 The trigger for the research by Rutger Booy was the realisation that Steerwood was also producing art for a Dutch weekly magazine De Auto. 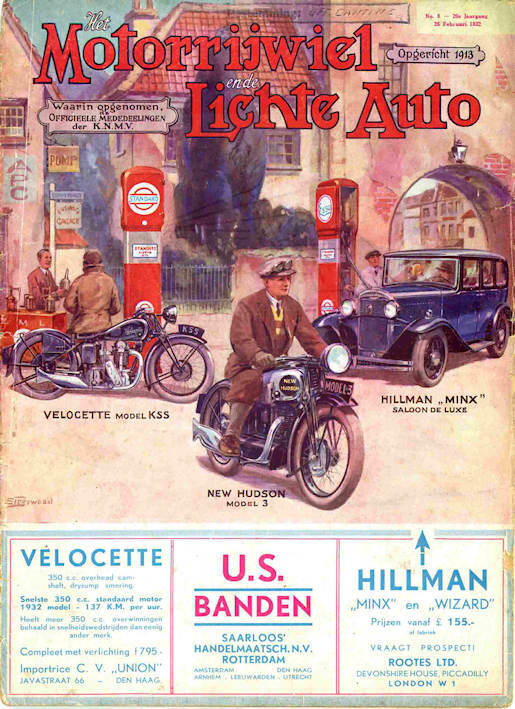 Initially it was thought that the artwork in De Auto was the re-use of artwork for UK magazines but one front cover design for De Auto shows the passenger in the car reading a copy of the magazine plus many of the background scenes show Dutch buildings and architecture. 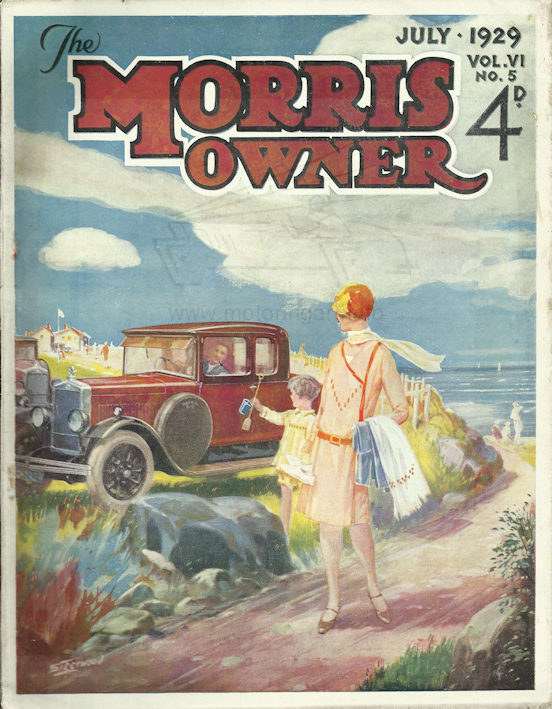 Also it was thought that he had moved to work in Holland but it seems more likely that he was UK based and relied on the post for receiving his commissions and sending the artwork. 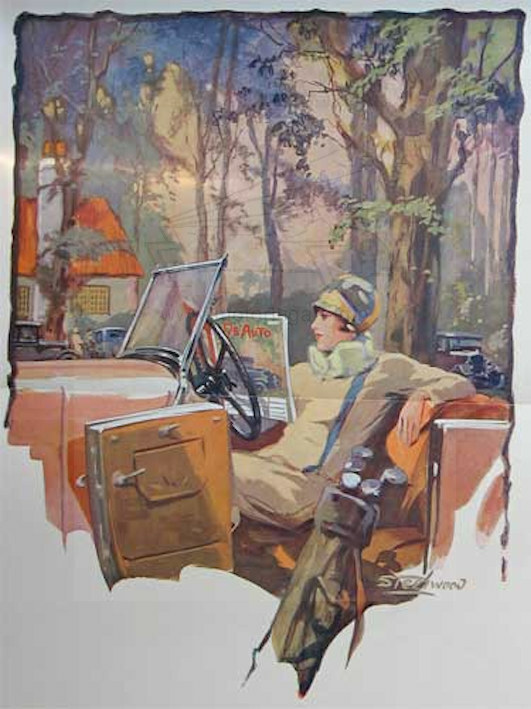 The art of Fred Steerwood is best known for the soft bright watercolours that enhanced the front covers of magazines but he was also very competent in black and white studies and sketches either with monotone gouache or pen and ink. 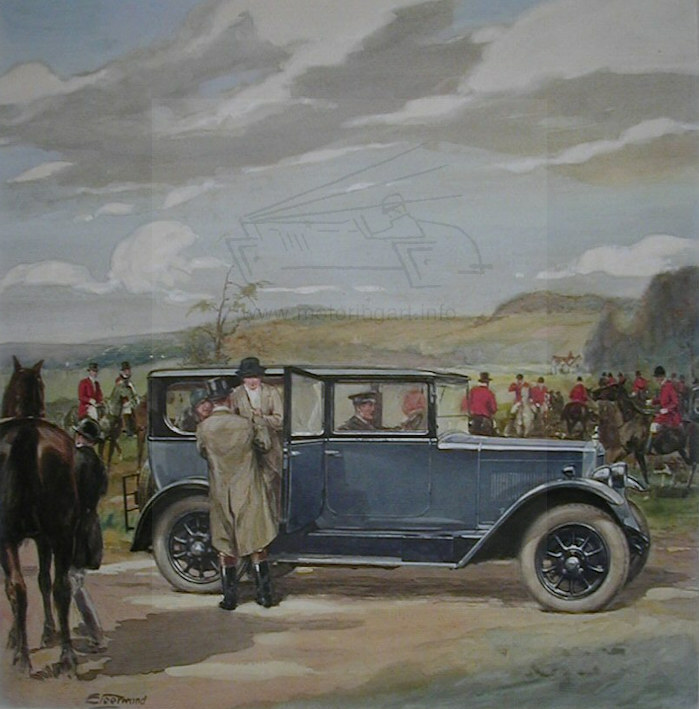 The signed work is signed with an underlined script Steerwood with an exaggerated stoke to the‘t’ and also in the early period of The Motor Owner he also used a monogram of an ‘S’ in a circle. 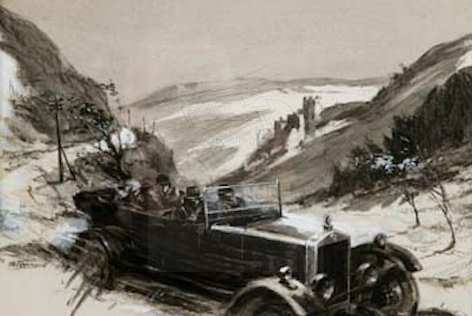 Fred Steerwood concentrated on day to day scenes of motoring rather than the racing activities and for this reason his work has not come to the fore like that of Gordon Crosby or Bryan de Grineau. 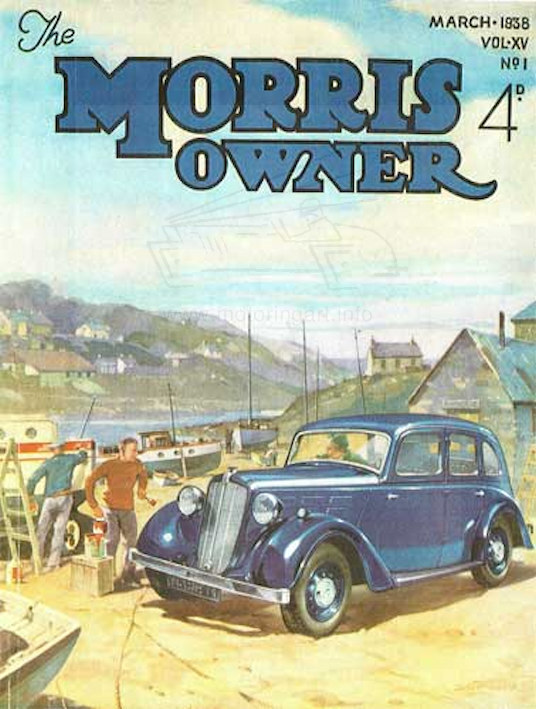 However, his work is certainly on a par, if not superior! 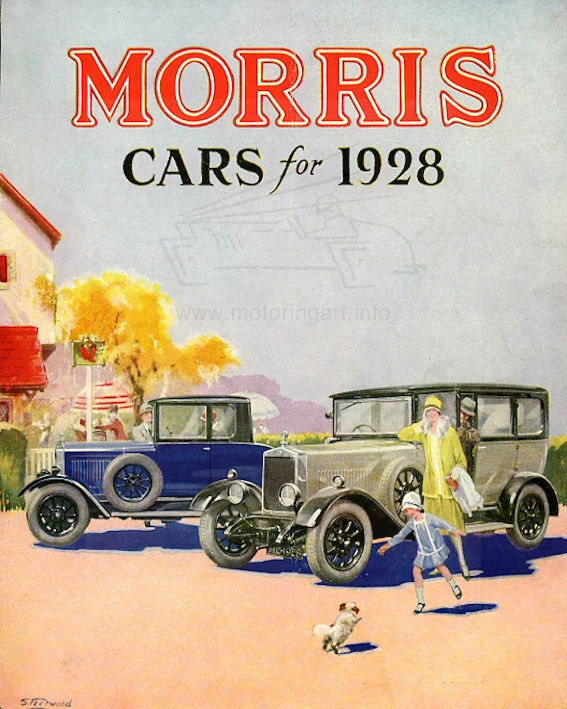 Certainly the work that we have seen signed by the artist is only a fraction of his output as so much advertising art in the 1920 and 30’s was not allowed to be signed by the artist.